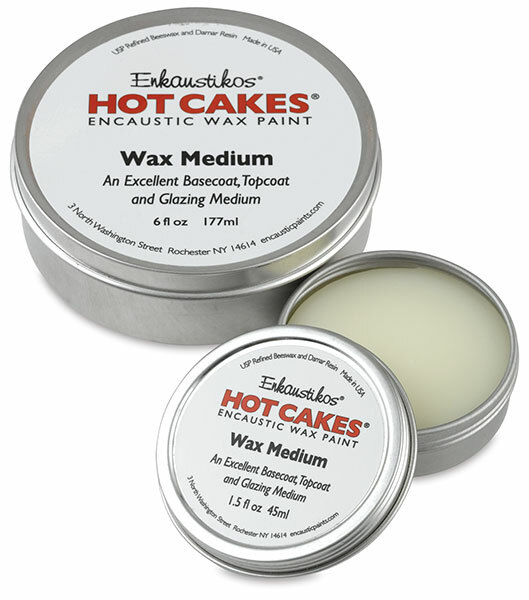 Enkaustikos makes a variety of wax mediums in a range of formats and sizes for every encaustic artist. XD Wax Medium (Extra Damar) — This wax medium has a higher content of Damar Resin than Enkaustikos Wax Medium, giving it a thicker consistency when liquified. It also has a sticky tack while drying for easy texture build-up and will stay pliable for a longer time than Wax Medium. Once cooled, however, XD Wax Medium is resistant to surface alterations from scraping or incising and offers a harder, glossier film. Like Wax Medium, XD Wax Medium can be used as a base coat, wax paint extender for glazing, and it's especially useful as a topcoat. If you want to achieve a glass-like surface with a single topcoat, this is the product to use. A rigid support is recommended when using XD Wax Medium. 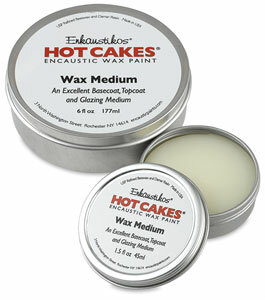 Wax Medium — Wax Medium can be used as a colorless paint film and may be used as a base or top coat. 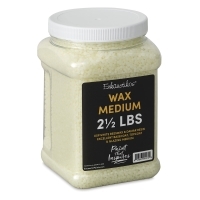 Wax medium also acts as a binding medium for collages and altered art effects. Yellow Wax Medium — This medium can be used to extend paints or applied as a topcoat to impart an overall warm tone to your work. 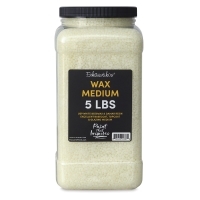 It is formulated using a 6 to 1 ratio of U.S. pharmaceutical grade natural yellow beeswax to damar resin, providing the same quality as Enkaustikos original Wax Medium with a warm yellow tone. The natural yellow properties come from pollen and may vary slightly from one batch to another.